The Grand Canyon’s South Rim opens up to some of the most photographed vistas in America. Just imagine the pictures you’ll take when flying up close to every crevasse! 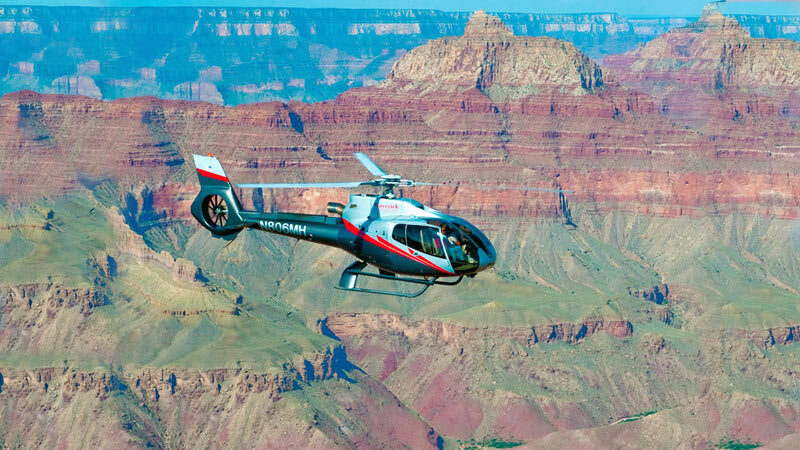 This Grand Canyon helicopter tour brings you to the natural wonder’s most famous sites. For 45 minutes, enjoy sprawling scenery that’s won the world over. It’ll leave you breathless. Depart from the South Rim and hover out to Kaibab National Forest. Here, home to a slew of wildlife, a ponderosa pine forest grows to be the largest in the world. Get your camera handy. As you move past the South Rim, the canyon’s North Rim and eastern end begin to rise into view. The effect is nothing short of magical. Spot the 70-foot Desert View Watchtower and the beautiful gradations of the Painted Desert. 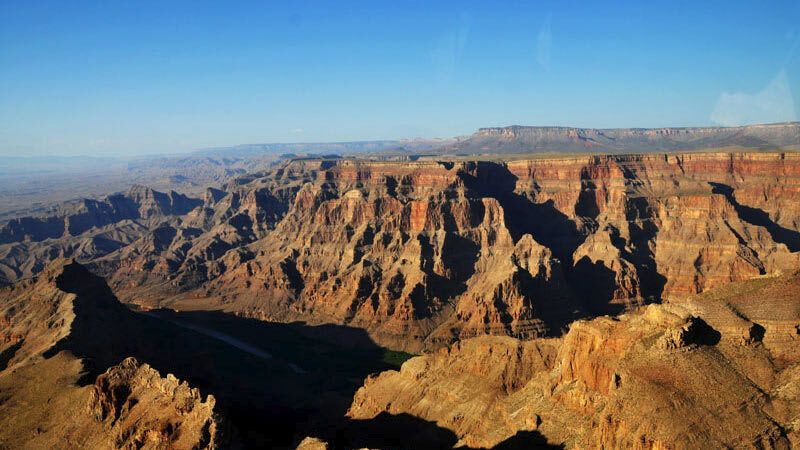 Travel over the Colorado River, see Marble Canyon and the North Rim’s Point Imperial. 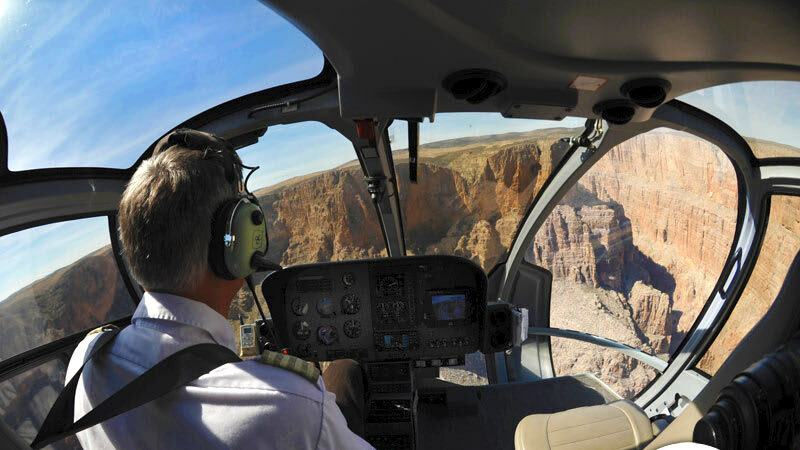 In fact, you’ll get a unique overhead view of the North Rim on your way to the canyon’s widest and deepest section, Dragon Corridor. Finally, just in case your memory card’s not yet full, circle back over the South Rim and Kaibab before touching down at Grand Canyon Airport. 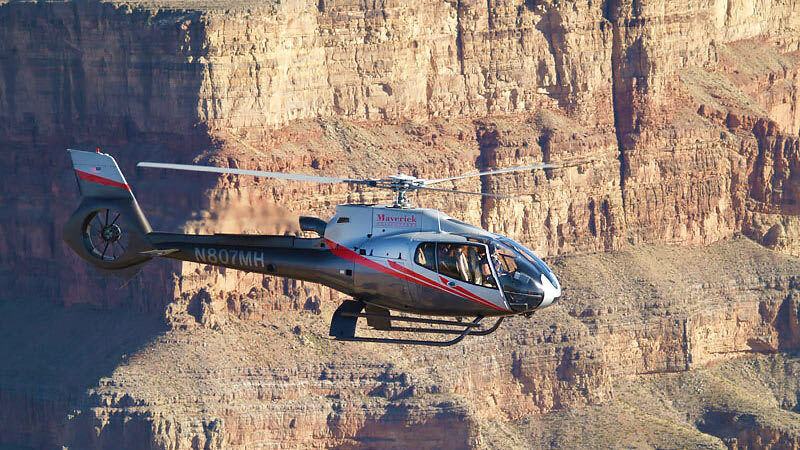 This Grand Canyon helicopter tour is more than just a sightseeing excursion. The sheer magnitude of the formation elevates your trip to a journey almost mythical in nature. It can be thought of as a sort of vision quest. You’ll return from this adventure slightly changed. Your memories of the red rock will stick with you for a lifetime. Our helicopter pilot made this adventure special with his commentary and great attitude. pilot was very good at telling us everything. I think the helicopter trip is complementary to the walking trails. Is very excitin and if you have the money is worth the spending since this is something you do once in your life. The highlight of our vacation! Fantastic experience. Our pilot was great. 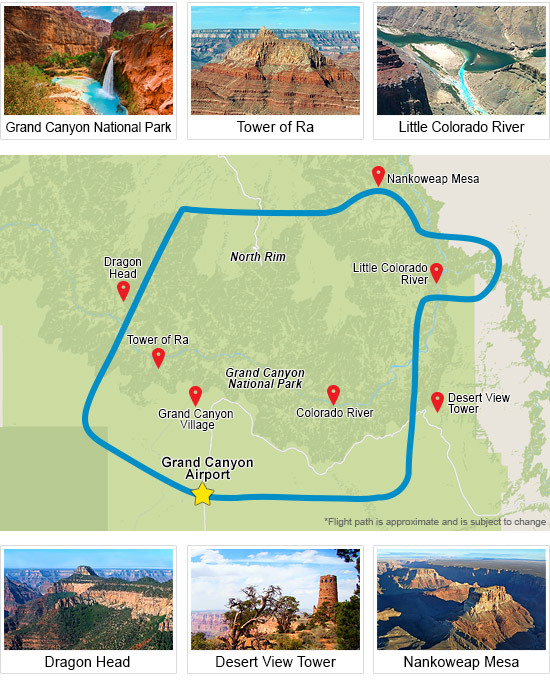 Amazing photo opportunities of the South Rim, the Colorado River, the North Rim and more!